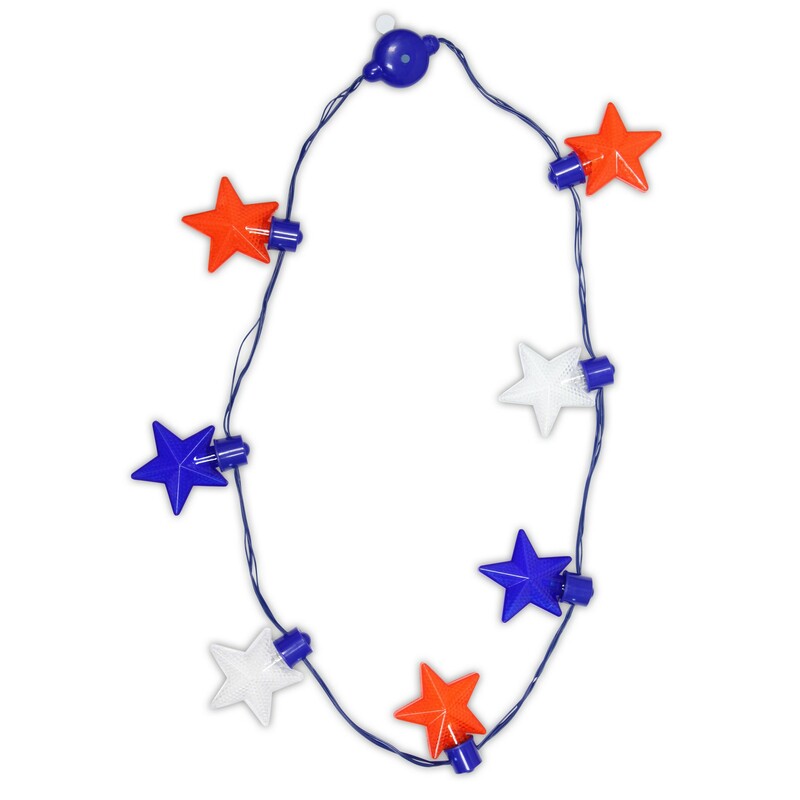 Light up patriotic events with our Patriotic LED Star Necklace. 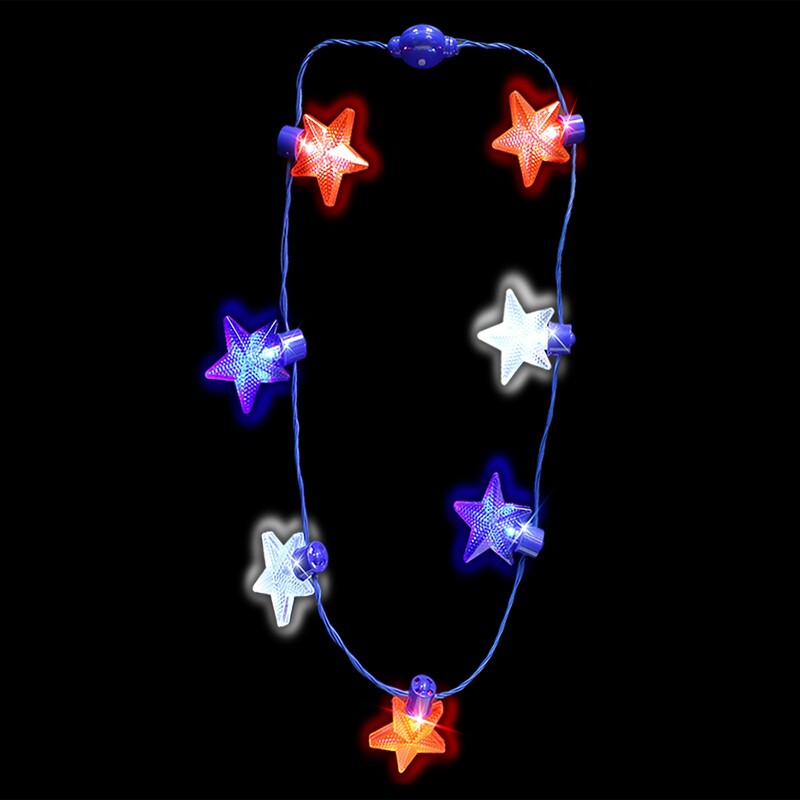 Each light up necklace is 34" long and features 7 translucent plastic stars in red, clear and blue with built in LEDs. Click the on/off button to choose from 6 different light settings for your own patriotic light show.. Perfect day or night for patriotic events like the 4th of July, Election Day, Memorial Day parades, picnics and parties. 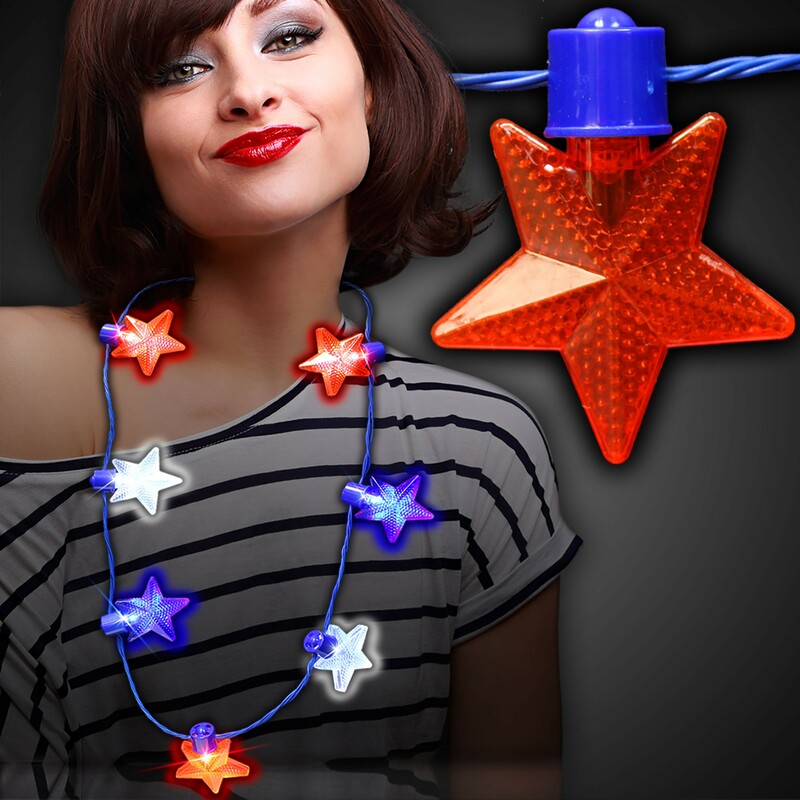 Each LED Patriotic Star Necklace comes with 2 CR2032 batteries included, installed and replaceable.